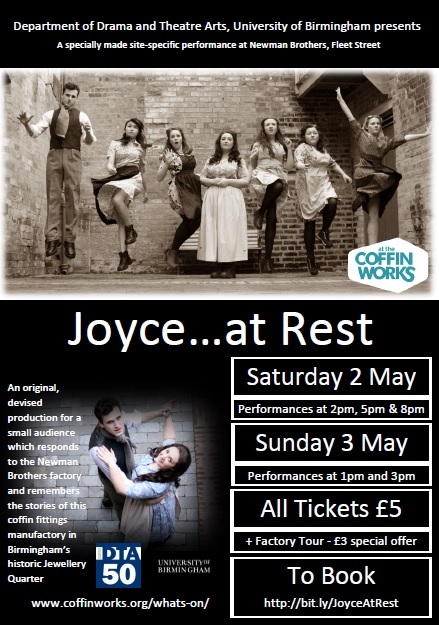 We are really excited to announce dates for our first drama performance at the Coffin Works since opening! Book your tickets now for what promises to be a fabulous show, devised and performed by students from the University of Birmingham. Small audiences for an intimate experience – so grab your tickets now! Book HERE.